- Pick an CoAP endpoint/server to start an exchange. 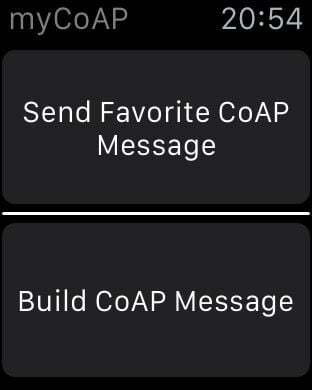 - Create CoAP messages with respective options, payloads, etc. and send them to a picked endpoint. 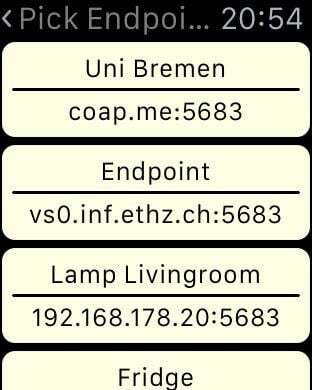 - Scan endpoint for .well-known/core resources and use them as template. - Get detailed information on received messages (e.g. 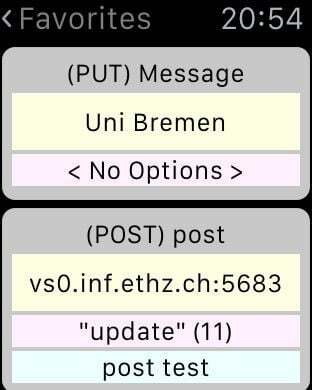 token, message id, options with values, etc). - Set custom communication behavior for each exchange (e.g. activate caching, block1 size, etc). - Get a detailed overview of your received messages. - Save endpoints, options, payloads and even entire messages to your favorites to have them available any time you want. 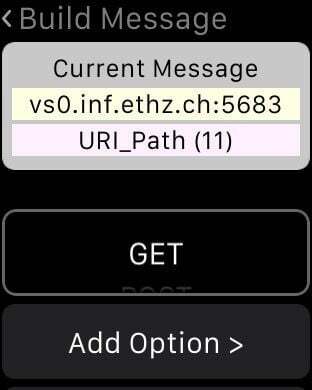 - Sync your favorite messages with your Apple Watch and send them directly from your wrist. - Build a CoAP message with just a few touches by selecting from your favorite endpoint/payload and option "tiles". This app builds upon the Open-Source Library "SwiftCoAP"